Swing by Tallahassee Glassworks during June’s First Friday for the opening reception of Elle LeBlanc’s solo exhibition. 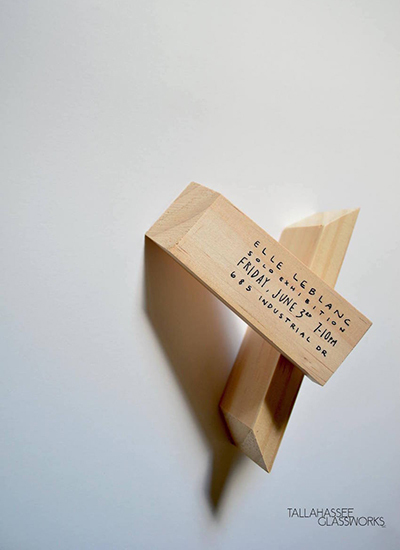 Elle specializes in the manipulation of wood, screen printing, transparent material, paper, and gouache to create contemporary, tactile sculptures with a minimalist’s mind and aesthetic. Cheers, and see you Friday!